Owners of rented non-domestic property invested in a SIPP or SSAS could be hit with a fine of up to £150,000 for non-compliance, under new minimum energy efficiency standards (MEES) that come into force from 1 April 2018. A significant number of SIPP/SSAS properties are likely to be affected as the new rules apply to owners of commercial properties with an F or G EPC rating – the lowest energy rating category, estimated to be about 20 per cent of the market. 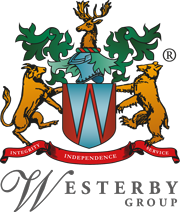 Leicester-based Westerby Trustee Services Limited, say that while MEES could be a potential financial headache for some investors, with the right advice, pension schemes could benefit from the changes and help the environment at the same time. Pension schemes that continue to hold F or G rated properties will have a maximum of five years in which to make sufficient energy efficiency improvements to meet the new standards. As properties with an F or G rating are likely to be deemed less desirable as an investment under the new rules, consideration should be given to the impact this could potentially have, not only sale values, but also on pension benefit calculations. If a property held in a pension scheme is devalued by £20,000 because of a poor energy rating, then the tax-free Pension Commencement Lump Sum entitlement would be reduced by £5,000. Other changes brought in by the new rules mean that from 1st April 2018 owners of commercial properties with an F or G EPC rating may not grant a lease to a new tenant or renew an existing lease. Further, from 1st April 2023, the owner may not continue letting a property that is already let if the property has an EPC rating of F or G.
However, in some circumstances owners can apply for an exemption. These include properties where it’s not physically possible to make energy improvements, or the cost of improvements would fail the “7-year payback” rule. All exemptions must be registered on a national register and importantly, are not transferred to a new owner on sale. Penalties for non-compliance range from £5,000 to £150,000. The new MEES Regulations have been brought in as part of the Government’s commitment to achieving a 34% reduction in its CO2 emissions by 2020 (relative to 1990) and at least an 80% reduction by 2050. For further information on holding commercial property within a SIPP or a SSAS, call Ian Jarvis, Business Development Director at Westerby Trustee Services on 0116 326 0183.